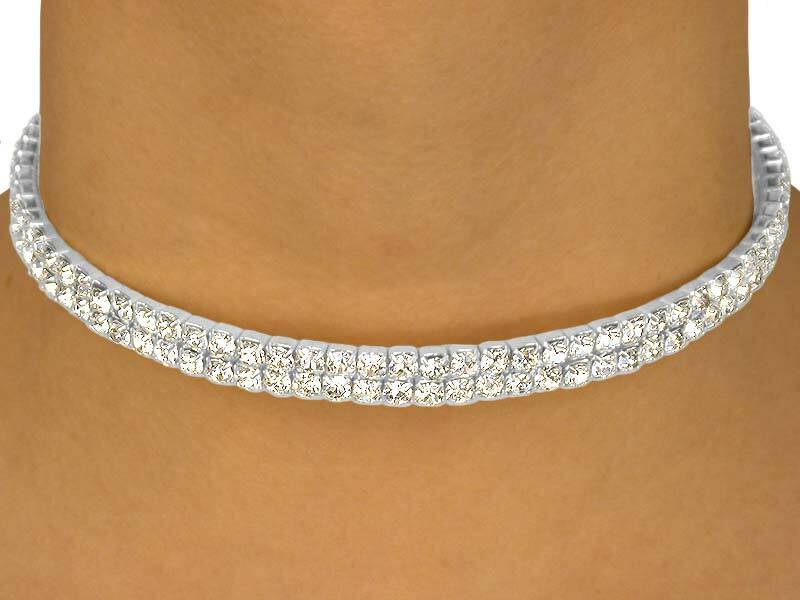 Polished Silver Finish Lobster Clasp Collar Displays Two Rows Of Genuine Austrian Crystals. Collar Measures 3 1/4" Diameter, Plus 5 1/2" Extender. Scroll Down For Available Bracelets W8558B!